I don’t normally publish so many posts in one day but I have to mark the passing of another 7 days with my weekly Monday happy things post. 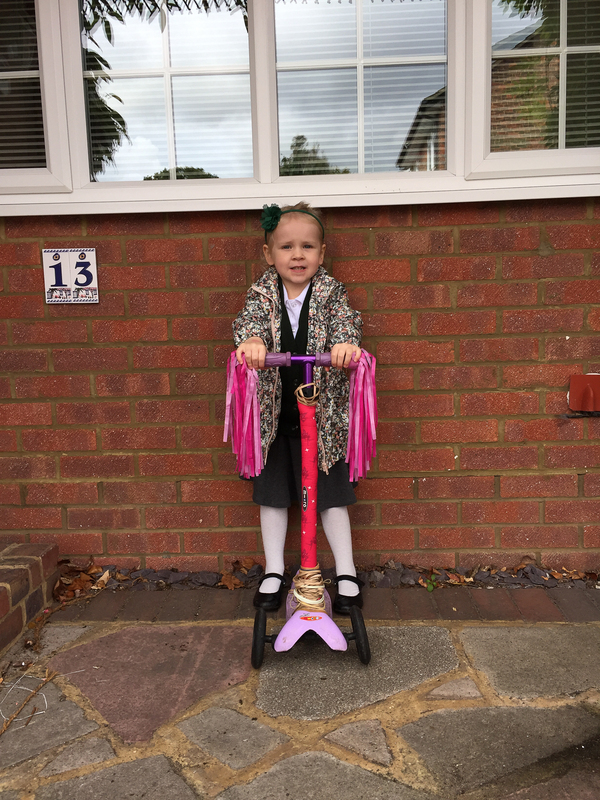 My daughter started her new pre-school and is really enjoying herself. This is her first full week and I’m hoping she won’t be too tired to enjoy it. I was amazed how tired and grumpy she was after her first 4 afternoons! I’ve been spending some time in the garden trying to get it ready for Autumn. I was quite surprised to find we had grown a few things aside from lots and lots of runner beans. I found a couple of green chillies hiding in my herb patch as well as a handful of green tomatoes. 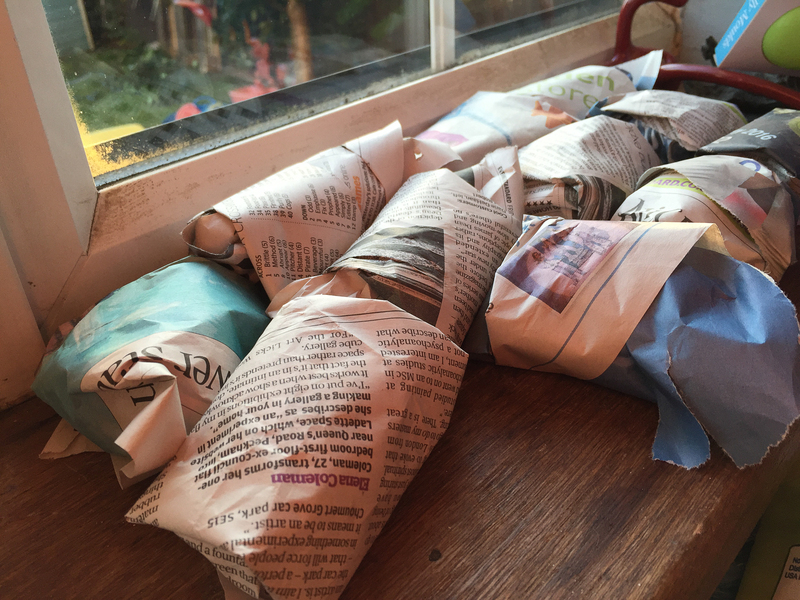 I’ve wrapped them in newspaper and left them on a sunny windowsill – fingers crossed this gorgeous Autumnal sunshine will help ripen them. We celebrated our 7th wedding anniversary over the weekend. 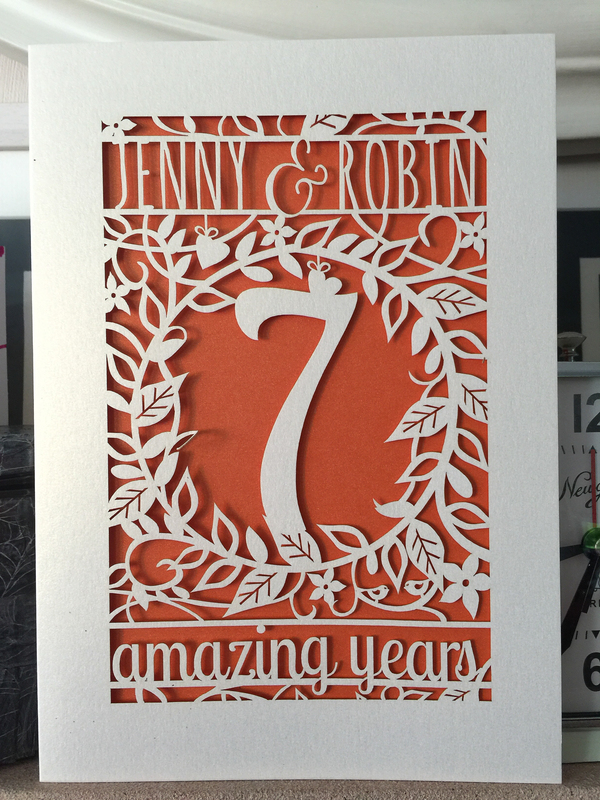 I bought this gorgeous laser cut card from a shop on not on the high street. Did you know the traditional gift for celebrating a 7th wedding anniversary was copper, wool or a desk set? I can’t quite believe a desk set is a serious gift suggestion but we settled on exchanging cards. Over the weekend we also caught up with one of my cousins and her children. 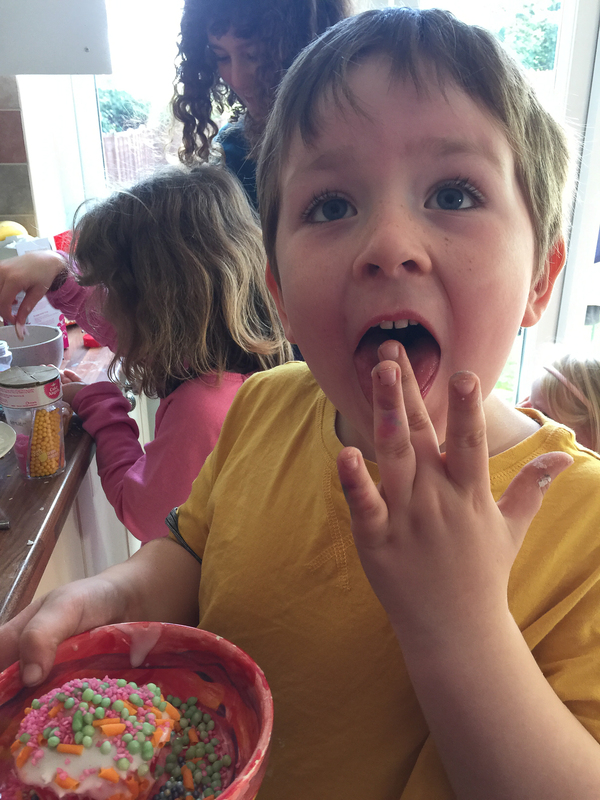 The children got on famously and my 5 year old really enjoyed decorating and eating cakes.